I was just in Fargo for the North Dakota Urban and Community Forestry Association conference – our pantywaist -12 deg. F wasn’t cold enough – I wanted to experience some real winter. Dr. John Ball from South Dakota State University, whom I enjoy listening to, was also on the program. As an aside, if you are ever invited to speak at the same conference as John, DO NOT allow yourself to be scheduled after him. He is hilarious and you will sound like a boring moron by comparison. John is an excellent and entertaining speaker and I usually agree with 90+ % of what he says. In this case he was talking about mulch – a subject near and dear to my heart – and lead off by mentioning the recent study by Gilman et al. (2012) as a reason why we should be concerned about possible negative impacts of mulch. Oh boy. Let’s go through this and see what the paper does and doesn’t say about mulch. The study was done in collaboration with Richard Beeson, who is widely known for his work using weighing lysimeters to estimate water use by container-grown trees and shrubs. In this case lysimeters were used to measure water lost from containers filled with soil or container media (60% pine bark : 30 % peat: 10% sand) and then covered with pine bark mulch or left uncovered. The containers were watered and allowed to drain. Water loss due to evaporation (there were no trees in the containers) was measured for three days. For the first day after watering there was more evaporation from the containers filled with container substrate that were mulched than the containers that were not mulched. However, if you add up the evaporation over the entire 3 days there is no difference between mulched and non-mulched containers. This is not too surprising since the mulch and container media were largely the same thing – pine bark. Now here’s the important part. If you look at evaporation for the soil-filled containers – which are the ones we really care about from a landscape perspective – total evaporation was 3L for non-mulched containers versus 2L for mulched. In other words, there was much greater water loss from soil when the pots where not mulched. 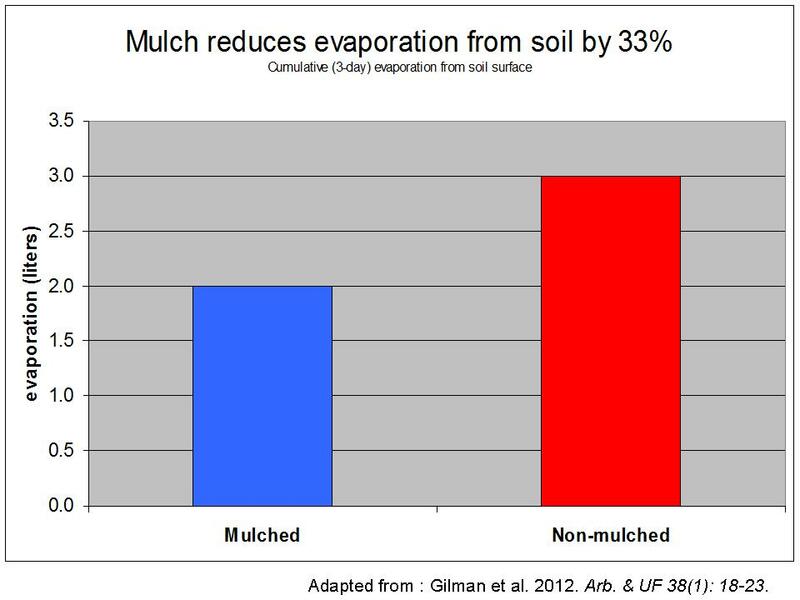 A much better title for the article would have been, “Mulch reduces evaporation from soil by 33%”! It’s easy to nit-pick articles but this isn’t pit-picking. There is only one table in this article and they got it wrong. For whatever reason people are prone to hysteria when it comes to tree care and I can already see this morphing into “Oh my God! Did you hear? Ed Gilman says if you mulch a tree you’re going to kill it!” A misinterpreted 3-day study has everyone criticizing mulch while ignoring a vast body of long-term studies. Re-using containers? A cautionary tale. I attempted to clean up our little home greenhouse over the holiday break. There’s no good place to recycle pots around here, and I hate throwing them away…so I suffer from container build-up. Figured I’d sort through the haphazard pile in the corner of the greenhouse, wash and re-stack the useable ones, and finally ditch the busted ones. As I started separating the first stack, I noted a tiny flash of red. 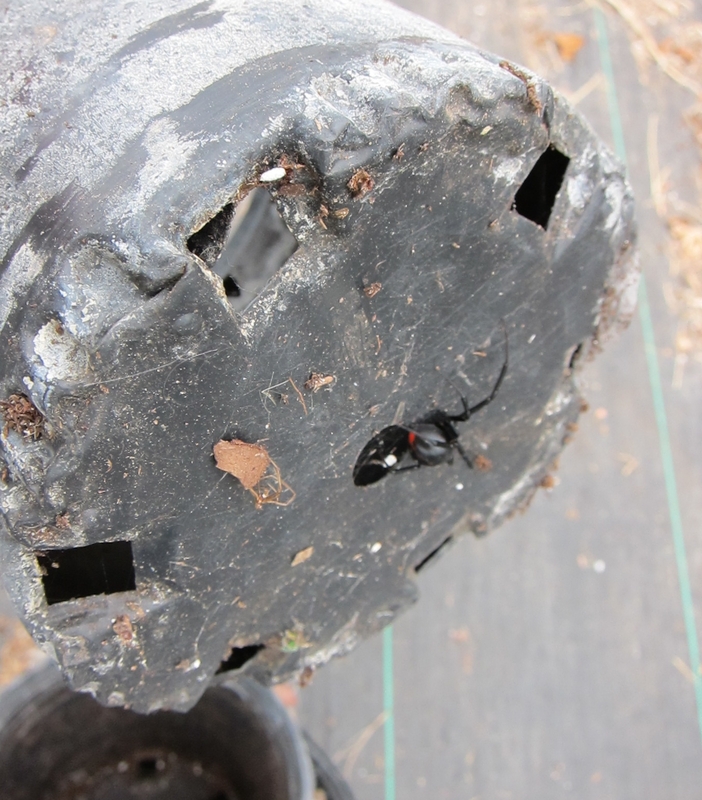 It is well-known and oft-reported among my gardening and grower buddies that the Southern Black Widow (Latrodectus mactans) really enjoys a nice stack of grubby pots. But I hadn’t seen one in quite a while, and not at our current location. Boy, did I hit the jackpot. I’m not afraid of spiders. At all. Quite fond of them, actually – they are immensely useful and fascinating critters. And only a very few pose any kind of danger. In the case of the Black Widow, a bite injects a neurotoxic venom (latrotoxin). The bites and ensuing symptoms are allegedly quite painful, though rarely fatal. In this instance, I chose not to sacrifice my comfort for our collective edification, i.e. “How Bad Can it Hurt?” (see Blister Beetle post). So, I squished her. But felt pretty bad about it. As I worked through the stacks, I found another. Shook her to the floor and did some more tap-dancing. Perhaps it was time to stop taking pictures and put some gloves on. By the time I got through the entire pile, I’d found and mushed thirteen of them, sized small through pretty darn large. The landscape fabric on the greenhouse floor was peppered with little beige, black, and red blobs (you don’t need to see that photo). There were none in the stacks of shiny new nursery pots I’d ordered for our blueberry transplants. But if there was some growing media or plant debris still stuck inside, there was a high probability of finding a spider. Moral of this story? 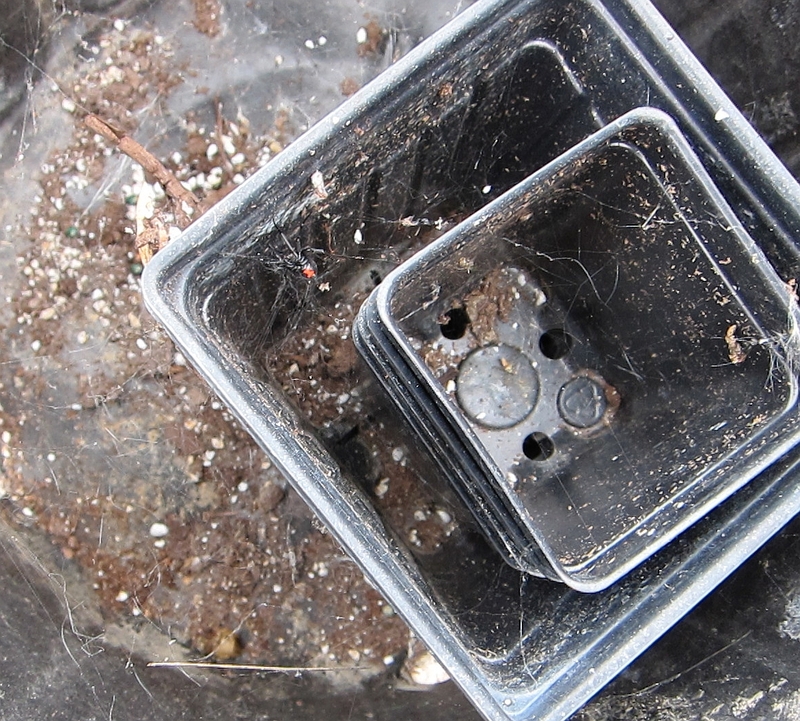 Think twice about leaving a bunch of dirty plant containers piled up. A simple hosing out before I’d stacked them would have probably prevented such a large infestation. Posted on January 10, 2014 Author Holly ScogginsCategories Amusing Facts, Knock It Off, Stories, UncategorizedTags wildlife9 Comments on Re-using containers? A cautionary tale. 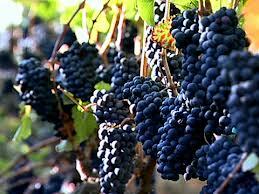 Today I got a link to my most recent publication in HortTechnology on the science behind biodynamic preparations. I’ve written about this topic before, but recognize the importance of peer-reviewed information for researchers, extension educators, and Master Gardener volunteers. Not to mention all the gardeners who rely on us to provide good science for gardens and landscapes. So here it is. I’m planning to continue submitting review articles to HortTechnology on other topics of interest. It looks like permaculture might be the next one up. So enjoy this article – pass it on to others who are curious about biodynamics, and if you are a Master Gardener be sure to take it to your MG coordinator and ask that it becomes a resource for your program.